Bartz’s, The Party Store is a family-owned, Wisconsin based retailer that specializes in party ware, party decorations, and costumes. 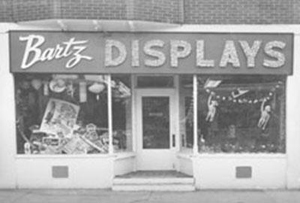 When founded in 1947 by Otto Bartz, the company prepared displays for retailers and business events. After Otto’s passing in 1970, his wife, Helen, and son, Donald took over the operation of the company. During this time, and following Donald’s purchase of the company in 1983 with his wife Debbie, the company’s focus shifted to party supplies and costume sales and rentals. From the original single location, Bartz’s has grown to a chain of four stores in southeastern Wisconsin, and remains the area’s leader in party goods. Our stores are stocked with just about everything you need for your celebration, from invitations to thank-you cards. We not only offer the best party supplies at the best prices, we are constantly working to make your experience more enjoyable. As a family owned and operated company, Bartz’s is dedicated to providing top-notch customer service while maintaining a friendly family atmosphere. We would appreciate the opportunity to assist you as you plan and prepare for your next event. Whether it is a family reunion, a wedding, a birthday celebration, or a business function, it would be our pleasure to help you create many great memories.